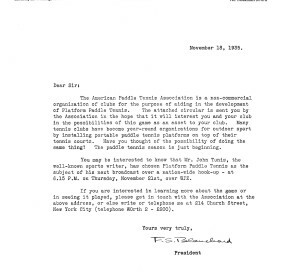 On November 18, 1935, brochures were sent out to Eastern Lawn Tennis Association member clubs and to others potentially interested in the game. These had photos and a description of platform tennis; tournament records of the previous year; a diagram of the platform with measurements; rules and regulations; and required equipment. (1) The Evans Backstop: The APTA actively encouraged its use and it became the standard for the game. (2) Sanding the court: The standard for application was developed. (3) Improved paddles: The APTA conducted a number of investigations over the years to see if the paddle developed by the Old Army Athletes could be improved. An acceptable substitute could not be found. (4) Standardizing the height of net: A number of experiments and inquiries resulted in the establishment of 2’ 10” as the height in the middle and not over 3’ 1” at the posts. (5)Bouncing the balls over the backstop: In 1946, a rule was adopted to play a “let ball” and replay the point if a ball bounced over the screens. (6) Studying court measurements: The APTA conducted a number of studies and playing experiments but ultimately the original dimensions remained. (7) Foot faults: For years, the APTA had closed its eyes to frequent foot faults, figuring it might lessen the fun if they kept calling them. 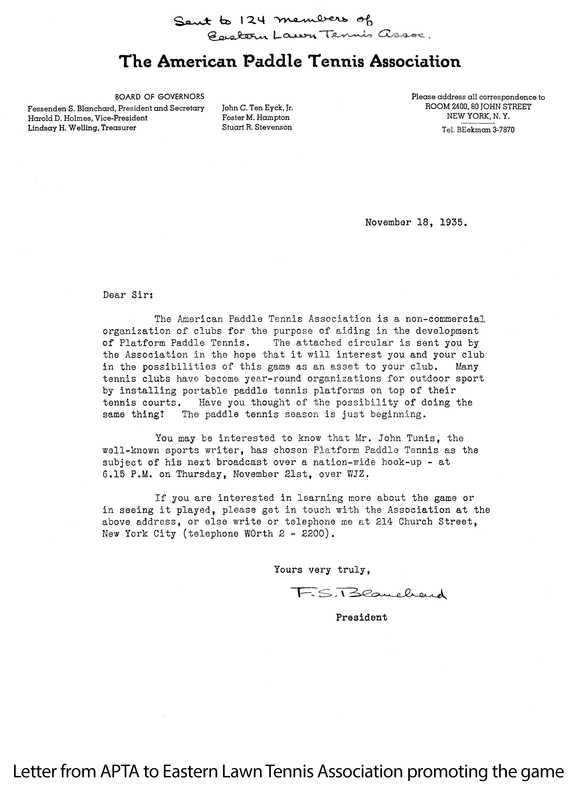 In the mid 1950’s the APTA began to enforce the rule in championships and appointed foot-fault judges for final and semifinal matches. 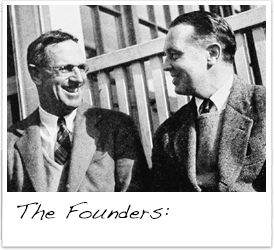 In 1958, a formal foot fault rule was adopted. (8) Use of balls in tournaments: The APTA provided balls and only one ball could be used per set in a tournament unless permitted by an official.